A few weeks ago, my rakish colonial gentleman presented me with Pastel Portraits: Images of 18th-Century Europe, a beautiful book published by Yale University Press to accompany the 2011 exhibition of rarely-exhibited pastels at the metropolitan Museum of Art, New York. Unfortunately I missed that particular exhibition because the Met is more than a scant carriage ride away from Gin Lane, so I relished the chance to see some of the wonderful items that were exhibited, alongside the perceptive and very informative text commentary by Katharine Baetjer and Marjorie Shelley. 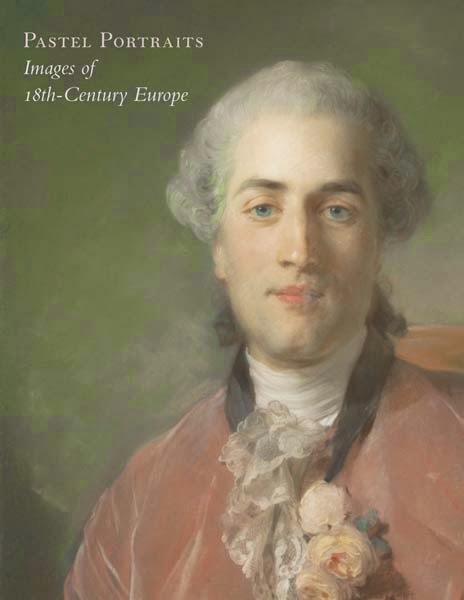 Alongside biographical information of some of the most important artists in the field of eighteenth century pastel work, the book offers an insight into the development of artistic, production and preservation techniques for these delicate works of art. It also places pastels in a social context and examines how they rose to popularity thanks to movements both fashionable and economic. The book, published in 2011, is widely available and reasonably priced too; I cannot recommend it highly enough! Thank you ever so much for this heads up! Beautiful portraits of beautiful people ! Oh my! It's one of those books you just keep looking at!